Can you recall the musky, earthy fragrance that fills the air instantaneously after the first rains of the season? Or perhaps remember that fleeting sense of deep bonding of the soul with the surroundings as you see the first drops of rain touch the soil? Well, ‘Petrichor’ defines just that and now promises even more. For the world-weary traveller in search of a deeper connection or a meaningful reprieve, Petrichor is the inexcusable next stop if your trails lead you towards this part of your next Himalayan adventure. Nestled in the forest of Gorubathan, just an hour’s drive from Siliguri (additional 30 mins Bagdogra airport) in West Bengal there awaits a rural experience like none other. Borne out of an inherently shared desire ‘to care for the planet’, it was sometime back in 2013 that the founding members, Siddharth & Sweta found themselves in possession of a vacant plot of land at Sweta’s mother’s ancestral property. Drawn inexplicably to the unused site they immediately recognised the dire need to nurture, maintain and develop what they had in hand. So began a rambling journey as they tried to make sense of the land and its resources, armed only with a familiar dose of reasonable doubt, worldly logic, childlike curiosity and the random tutorials on Youtube. They soon realised that just playing with the soil and observing the natural rhythm was not enough. What they needed was a formal plan and this is exactly what they set about doing to qualify for a certification as Permaculture Designers. With the certification now in place, Petrichor gradually came into being as a community starting with small-scale local farmers who were invited to collaborate and work, encouraging them to share resources and their best practices. The resultant produce and eventually the profits were enough to motivate this already existing agrarian locality. Sadhana – The endearingly restored Nepali Heritage home. Simplicity – A unique Hut made exclusively with reclaimed materials. Sattva – The Volunteer’s Dormitory. The Old Granary – A picturesque old storage space now fitted into a low budget accommodation for a frequently visiting volunteer or an independent traveller. There are Tents available on request should you prefer a custom-made rustic campsite affair. It is interesting to note that while the content of this blog was being collated, the Petrichor community along with few volunteers was busy building a unique ‘Cob House’ as yet another accommodation option in the near future. The ‘Sunset Terrace’ deserves a special mention here. While this is yet another typical structure built with natural local resources, this space was specially designed to capture the breathtaking view of the sunset. The open-air arena is the perfect inspiration for small yoga sessions during the divine hours of dusk & dawn and also serves as a lounge or an outdoor movie theatre. A cosy Reading room with a Library section and a finely tuned Guitar awaits for a quiet afternoon. Meals at Petrichor’s Cafe Glow is organically Vegan, Vegetarian and Raw. Cafe Glow itself is not confined to any singular space and guests can celebrate the blessing of food in its purest form anywhere in this property. A regular meal which is a form of indigenous wholesome cooking of the native plants with local spices in a traditional Nepalese style is prepared here. This style is now termed as Slow Food and comprises what we call The Petrichor Plate – a truly authentic Farm-To-Table experience. You can also pre-order a special 4-course meal for a unique Plant-Based Cuisine experience that is patented by the Petrichor Kitchen as being stylised and contemporary while being greatly inspired by nature. Not just your regular Homestay or a Farm-stay in an authentic rural landscape, Petrichor extends much more beyond the concept of food and lodging for a traveller with its underlying relentless campaign to promote itself as a sustainability education centre or a working permaculture farm. Your Himalayan adventure is guaranteed to enter a parallel dimension if not the next level as you become a part of a community working in harmony with local farmers of the region to build a healthy alternative lifestyle as they strive to live sustainably and responsibly with each other. Petrichor offers a personal opportunity to rediscover nature’s bounty and unravel the secrets of the earth in its vast splendour. An ideal way to experience a slice of unadulterated rustic bliss as you learn and get a hands-on experience about building sustainable structures with natural resources or delve into the hidden rural recipes of food fermentation, herbalism, soap-making, bee-farming or simply enrich your stay by learning a little more about permaculture designing. The ‘slow food’ cooking process in the rustic wood fire kitchens is an experience that stands apart by itself. Both Sweta & Siddharth modestly refrain from taking ownership of the idea behind Petrichor and are quick to point out that they are but stakeholders of the community. They claim that all workers, volunteers and even guests are ultimately the ones who benefit from the returns of the Petrichor experience. This alternate destination has been receiving encouraging reviews so far. Having hosted quite a fair number of international tourists who have been smitten by the simple beauty of the hospitable community and have stayed on as volunteers. 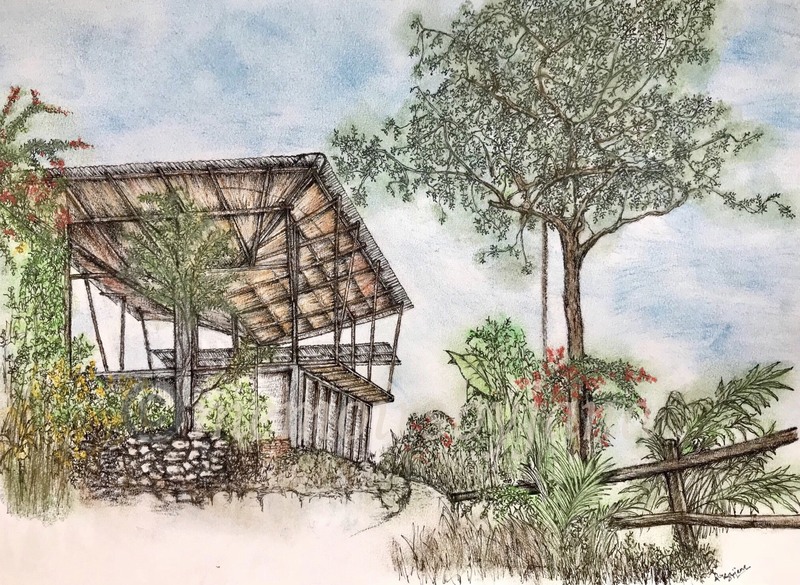 Petrichor Farms – A Sustainable Living Education Centre (as they prefer to be known as) looks forward to opening their doors to share the joy of simple living with even more travellers and adventure seekers. While their website is currently under construction there has been considerable coverage and traveller’s talk all over the internet especially on Tripadvisor about this hidden destination. Petrichor is also listed on Airbnb for Bookings and can be looked up in Volunteer World as well. Thank you for reading! 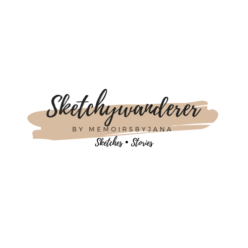 Stay tuned to Sketchywanderer for more vignettes of hidden places and spaces. I would love to hear your thoughts & feedback on this blog.